Your Olympic Peninsula Fly Fishing Guide. Late February can break your heart. I-90 somewhere west of Seattle. It's almost Chum Baby Time! You can find them at the Orvis Bellevue fly shop! Chum Baby Note: The Chum Salmon fry, a key springtime sea-run coastal cutthroat trout prey species in our region, will usually be getting down into the estuaries of their natal streams and rivers beginning by around mid-February in the south Puget Sound region, and a little later by mid-March up north. Weather, river flows and temperatures can impact the timing of their emergence from the gravel redds, so a week's timing either way is not unusual. In the later summer and fall, the Chum Salmon arrive as adults across several months of time. And they don't all spawn at the same time. It takes a few months. 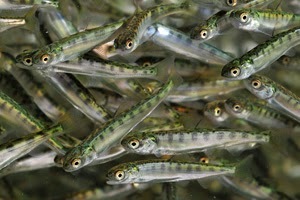 So, you'll often see juvenile Chum Salmon of varying sizes through the first few months of spring season. Coming into saltwaters the fry will be about 3/4" to 1-1/4", and growing rapidly. So your early flies can be small and sparse, but always have a few fuller, bigger ones too. Size #8 and #6 cover most of it. South Puget Sound cutthroat anglers usually see the action a few weeks ahead of us up north. It's not unusual for February to fool you sometimes. You get through the long slog of early winter; darkness, interminable rain, howling Pacific storms, black ice on the roads, and weeks of deep freezing cold, any way you can. And one trick of the mind is to hold out for February, and the return of slightly longer days, more sunshine, moderating temperatures, milder storms. And we can get some pretty nice beach fly fishing days by then too. And sometimes in February we can get a very mild spell of balmy, dry weather. Bring on the blue sky days, the sunny warm glow, the smells of the gardens and beaches, birds feeding, plants and trees budding, frogs trilling, and the cutthroat are out on the beaches, in the shallows, feeding and taking your fly. You might even get some rosy pink color to your face after a day of this fishing. 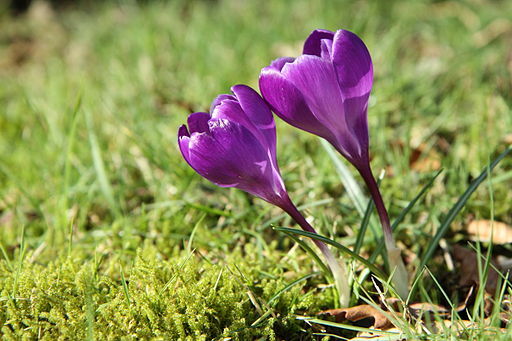 No wonder that it is all to easy to assume that we're having an early spring. This February did not disappoint, as we shifted from bitter cold winter conditions, to that warming trend of tropical air and balmy weather. And suddenly we were walking around in shirtsleeves, leaving the rain gear home, and the sea-run coastal cutthroat trout were out, with some of the best fishing reports coming in from almost everywhere around Puget Sound country. It's so seductive. Then by the end of February, the colder lightly freezing nights have returned, daytime temperatures are wintry again, along with the frequent chances of snow, rain, and grey skies. And in many areas the trout will be absent. They're up in the creeks and smaller waters, way up in the big rivers, spawning. Cutthroat fishing on the north Puget Sound saltchuck can be kind of quiet through later February and early March. But by April it will be another story entirely here, as millions of juvenile salmon become forage for the hungry, lean, post-spawn Cutthroat trout. And then it really will be spring! We will be back on the water this spring! Just in time for the beginning of another beautiful season of wild sea run Coastal Cutthroat trout fly fishing on the saltwaters and rivers of the Olympic Peninsula, Hood Canal and Puget Sound. Drop me a note or give me a call for details. All trips, casting instruction sessions, presentations, and rowboat picnics must be booked in advance. I am guiding fly fishers on the Olympic Peninsula beaches, rivers and streams. We walk and wade, fly fishing for sea-run Coastal Cutthroat trout in freshwater and saltwater, and in the rivers for trout and summer steelhead. This is strictly catch and release, traditional fly fishing only. Lunch, snacks, soft beverages, and use of some equipment is included. I also offer personalized and private fly fishing and fly casting instruction for beginners. I would be happy to help you plan your Olympic Peninsula fly fishing adventure, for beginners through expert anglers. Public presentations, Naturalist guide, Rowboat picnics, Tide Pool and River trail day trips. Please call, write or email for booking details. Now booking for April and May!